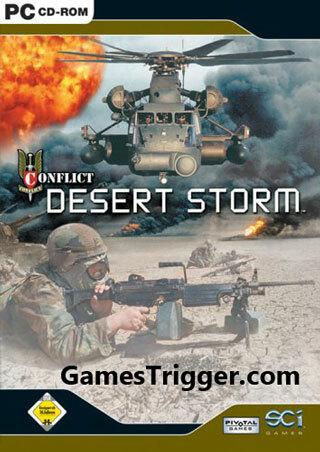 In this Game player takes control of a squad of special forces soldiers, either in the British Air Service or the United States Army Force. Each soldier has a specialty, such as demolitions, sniper rifles, machine guns, and assault rifles. To complete the mission, the player must utilize the skills of each squad member to destroy bridges, their heavy weapons specialist to destroy tanks and etc.In beginning, the player goes through the basic training portion of the game, which will cover the use of weapons, as well being trained in the use of artillery and airstrikes, along with basic medical skills and squad movements.